A stunning, terrifying novel about a house the color of blood and the two sisters who are trapped there, by The Dead House author Dawn KurtagichWhen Silla and Nori arrive at their aunt's home, it's immediately clear that the "blood manor" is cursed. 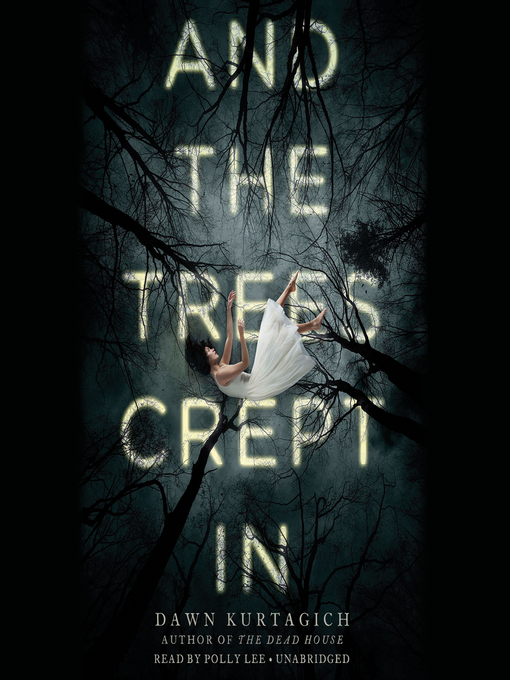 The creaking of the house and the stillness of the woods surrounding them would be enough of a sign, but there are secrets too—the questions that Silla can't ignore: Who is the beautiful boy that's appeared from the woods? Who is the man that her little sister sees, but no one else? 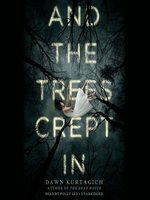 And why does it seem that, ever since they arrived, the trees have been creeping closer?Filled with just as many twists and turns as The Dead House, and with achingly beautiful, chilling language that delivers haunting scenes, And the Trees Crept In is the perfect follow-up novel for master horror writer Dawn Kurtagich. Dawn Kurtagich is a young writer of psychologically sinister fiction, and she has a dark and twisted imagination! She lives in Wales, however, she grew up all over the world, predominantly in Africa. She writes and blogs for YA Scream Queens and is a member of the YA League. After Silla Daniels and her mute younger sister, Nori, escape their abusive father and a London on the brink of World War III, they make their way to the blood-red family manor where their estranged aunt Cath takes them in. When Cath’s grasp on reality falters and she retreats to the attic, the sisters are left with the sound of her constant pacing and a fear of the encroaching woods, home to the ever-hungry Creeper Man, whom Cath warned is coming for the sisters. Creaks, footsteps, and giggles echo through the decrepit manor while Nori, unbeknownst to Silla, spends her nights playing with an eyeless, long-limbed friend in the basement. Kurtagich follows The Dead House with a thought-provoking exploration of familial legacy and the sibling bond. The isolated and decaying manor setting creates an immediate sense of unease, and the villain is both physically and psychologically eerie; typographic manipulations and facsimiles of burned and torn notebook excerpts play into the psychologically unstable atmosphere. Readers will it hard to look away from this genuinely frightening story as the sisters’ sanctuary becomes a nightmare. Ages 15–up. Agent: Sarah Davies, Greenhouse Literary.